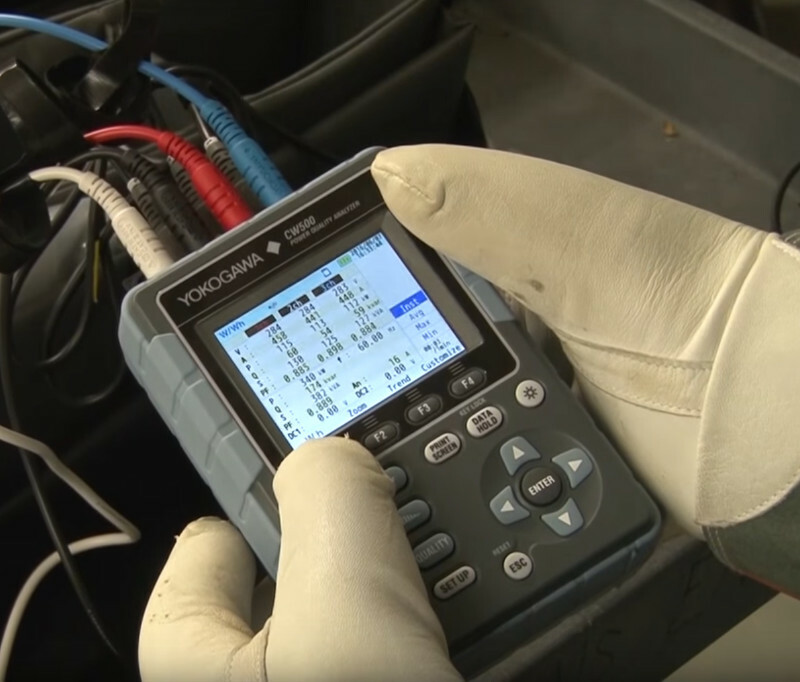 The Yokogawa CW500 is a portable power meter that utilizes current clamp sensors for use in the field enabling power consumption and quality measurements. 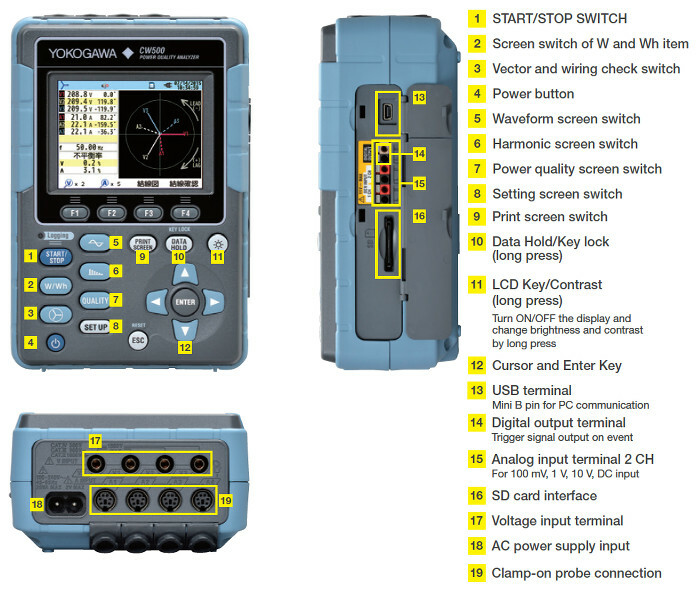 Connection and setting of the unit is simplified by following the clear instructions on the screen. Physical keys which allow direct access to measuring screens provide ease of use. Measured data stored on SD card in the unit are easily accessed by clicking on the file with the included PC software. 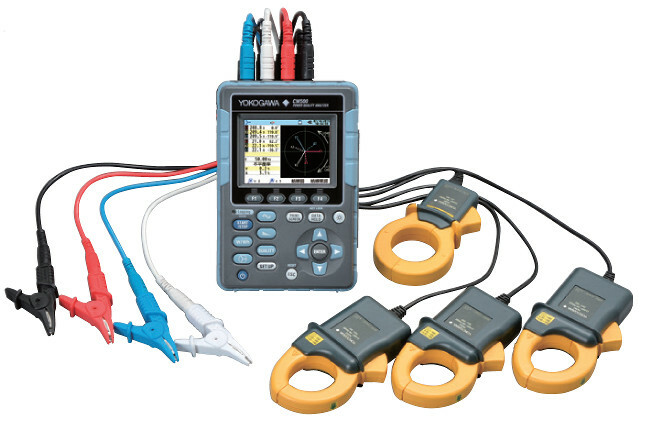 Simultaneously measures 3 CH Voltage input, 4 CH current clamp-on probe input, 2 CH DCV input. 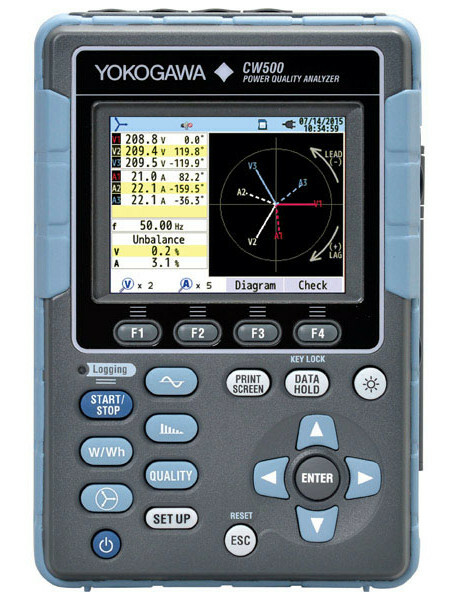 Displays value list or trend graph screen of Instantaneous/Average/Maximum/Minimum of Voltage/Current/Power/Power factor/Phase Angle/Phase Advanced Capacitance Calculation and DCV input. Integration Value of Active/Reactive/Apparent Energy is each displayed by consumption and generation. Demand value can be monitored by screens of present power consumption compared to aimed demand power value. Captures temporary malfunction phenomena of power line which causes malfunction or destruction of devices by types (Voltage swell, Voltage dip, Voltage interruption, Transient overvoltage, inrush current) as an event by high sampling rate of 24 μs and RMS calculation.